During the 18th year of the second millennia, the fitness world was turned upside-down with the introduction of a pre-workout so potent, so unadulterated, it would make your face tingle just from its scent. 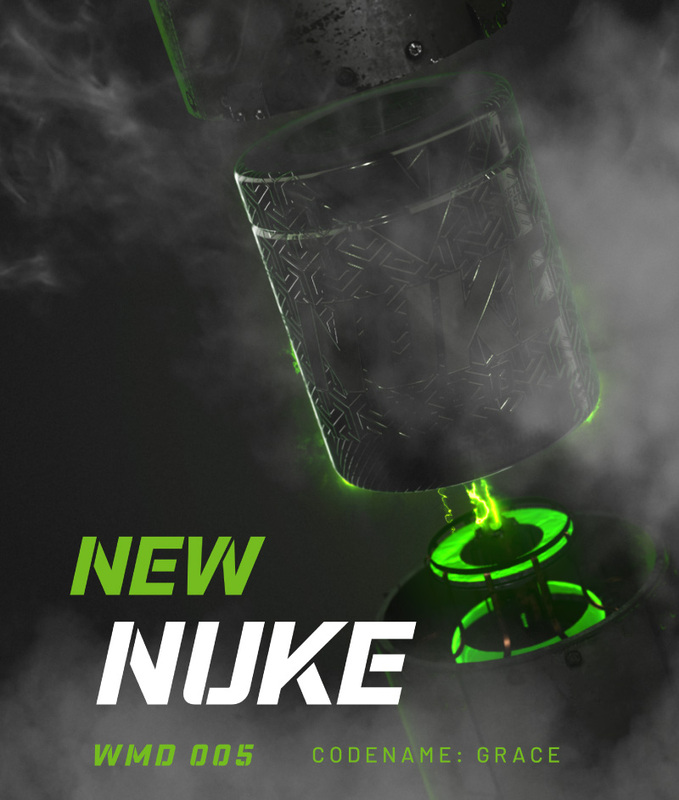 The creation of NUKE® was no mere accident or product of chance – no, the intention was deliberate. The Cowboys of Chaos knew what they had to do, their goal was clear: develop a pre-workout of WMD proportions. The NUKE® Original, also known as WMD 001, was met with great success. All hope of opposition was levelled and the game changed – the new benchmark of pre-workouts has been set. Classified as an extremely intense pre-workout supplement, half a scoop is sufficient for most, but only those with an appetite for crazy will consume the recommended dosage. Known for its potent hit and M.A.D. 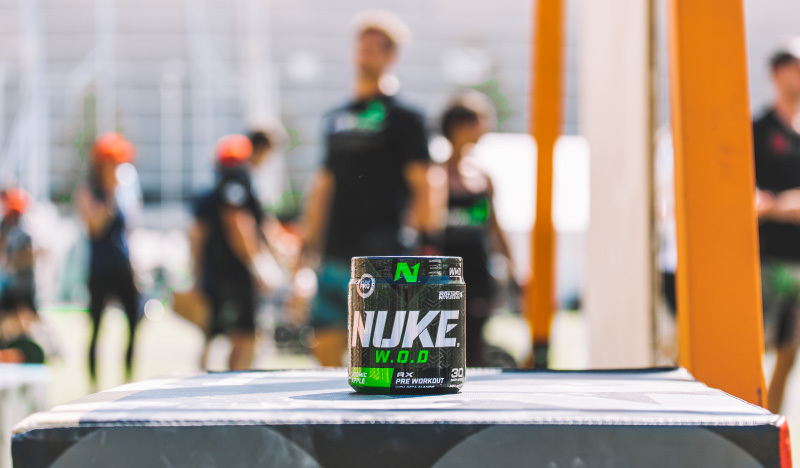 caffeine levels, the Original NUKE® doesn’t mess around. With the caffeine content peaking at 300mg per single serving, the Original will see to it that no stone is left unturned once your workout is obliterated. 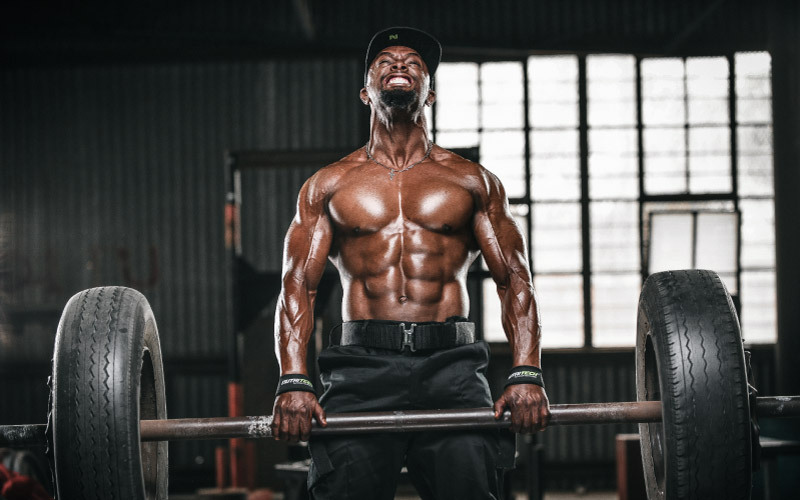 The addition of 1000 milligrams of creatine HCl per serving allows each user to reap the same benefits that they would if they were to consume higher amounts of creatine monohydrate. In the intestines, creatine HCl is absorbed 60% better than monohydrate, making it the perfect ammunition for the ideal pre-workout weapon. 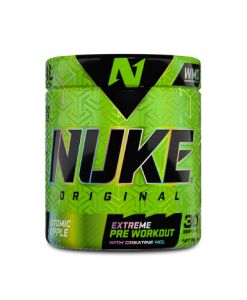 NUKE® Original was created with the intent to establish a solid product on which to further build the NUKE® brand. 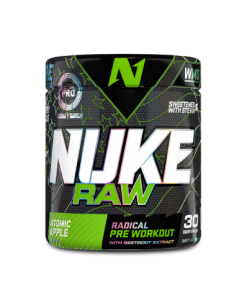 Quickly followed up by NUKE® Raw, the all-natural counterpart of the original, the brand has surpassed the ideals and expectations of the naturalists in the fitness community as far as pre-workouts go. 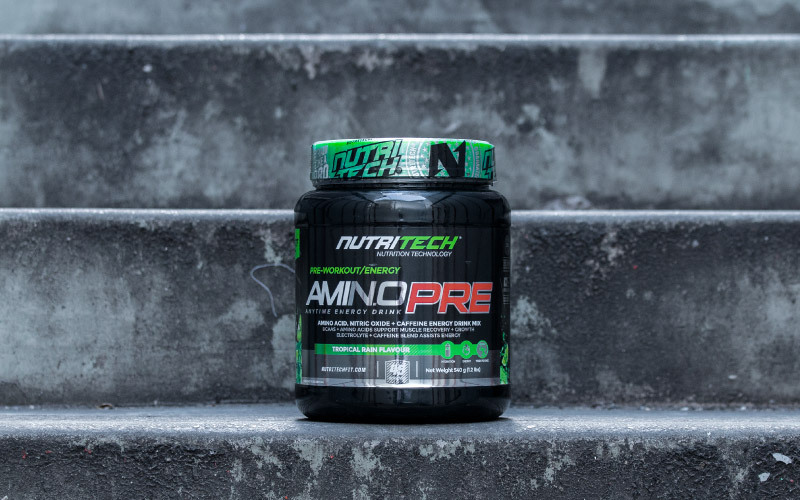 NUTRITECH took advantage of the upward trend in vegan product sales and developed a pre-workout so natural, it could be mistaken for a grass-fed bomb. The result? 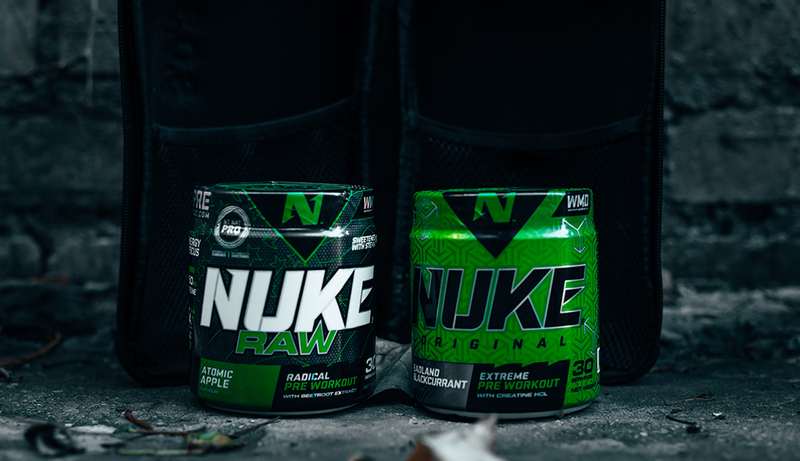 NUKE® Raw. Unlike its Original counterpart, Raw was rid of any ingredient that the true naturalist would consider a no-go in a natural supplement. Two major distinctions would be the absence of creatine HCl and the non-nutritive sweetener, sucralose. Instead, the non-nutritive sweetener has been replaced with stevia, an all-natural, plant-based sweetener. Betaine Anhydrous was also added to the mix–an ingredient not found in the Original–in order to utilise its effectiveness in promoting the natural production of human growth hormone and insulin-like growth factor 1, as well as the effect it has on enhancing oxygen consumption in the muscles. 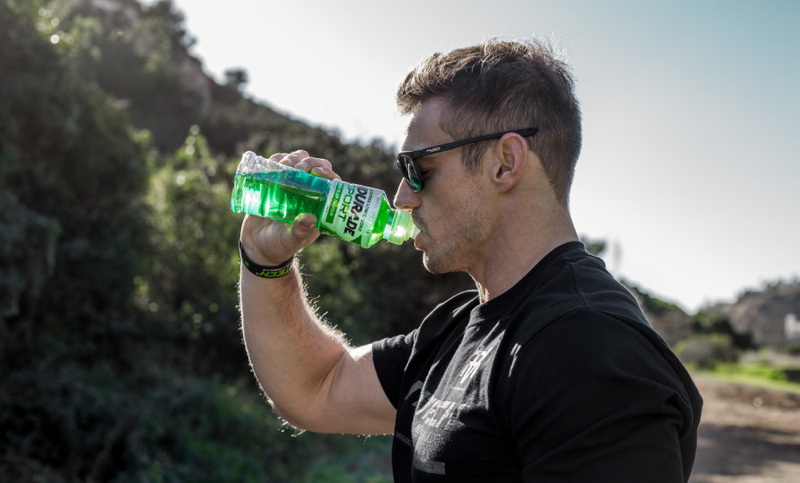 NUTRITECH has always been involved in the CrossFit community, and for the last 3 years, we’ve been kicking it with the Fittest in Cape Town competition – the largest CrossFit event in Africa. 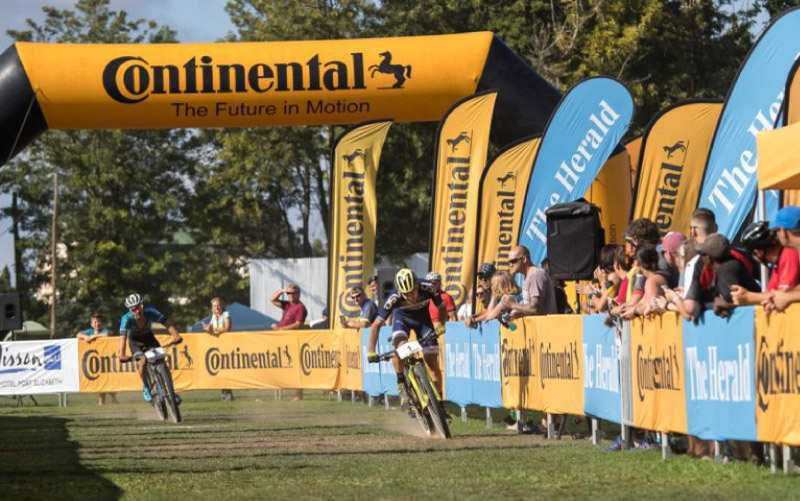 2019’s event will be NUTRITECH’s fourth year of active involvement with the competition. In times past, FiCT was an unsanctioned event, however, this year, CrossFit Inc. has sanctioned the event, making it an official CrossFit competition, enabling competitors to qualify for the coveted CrossFit Games in Madison, Wisconsin, USA. With that being said, the stakes have never been higher and the competition never more fierce with top athletes from the world over flying in to compete in the FiCT event for that golden ticket to the Games. A few of the top names on the international radar includes the likes of Cole Sager (USA), Lucas Parker (Canada), Katrin Davidsdottir (Iceland), Carol-Ann Reason-Thibault (Canada). Among these international top dogs, we’ll be witnessing the local cream of the crop do their thing; Top 10 Games finisher, Jason Smith, last year’s individual winners, Alan Foulis and Michelle Merand, and CrossFit Games team qualifiers, Cape CrossFit’s Wolfpack. With the monumental achievement of becoming an official CrossFit-sanctioned event and Games qualifier, NUTRITECH wanted to honour this monumental occasion and celebrate with the community by setting out to develop a product entirely unique to the sport. NUTRITECH wasted no time getting in touch with the top CrossFit athletes on the continent to get to work on this special project. Gaining the insight and valued feedback from brothers Jason and Rick Smith, Alan Foulis, Dave Levey, Celestie Engelbrecht, Michelle Merand, AJ Visser, Dina Swift, Jaco van der Vyver, and the master event management team of the FiCT, Chris Oman and Tiaan Visser. After receiving their contributions and insight, we have developed and designed a tailor-made pre-workout that is for the community, by the community. 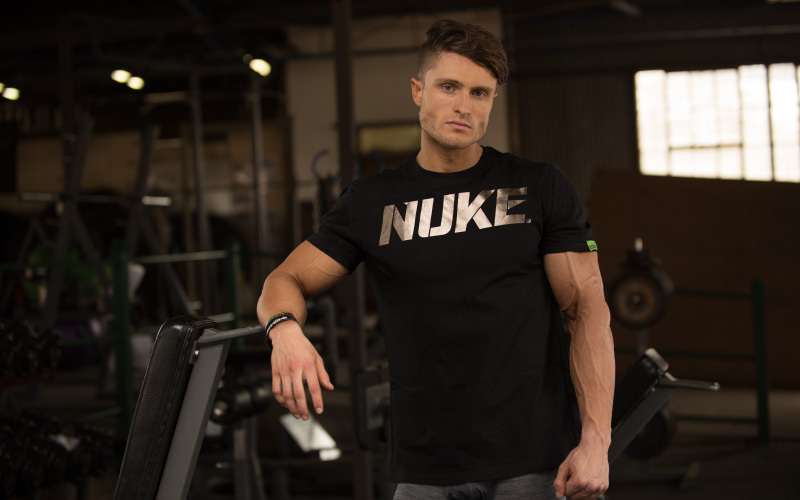 NUTRITECH values the input of its athletes, and to maintain the integrity of each athletes’ feedback, we have included highly specific ingredient recommendations that cater to the wants and needs of a top-tier athlete’s gruelling militaristic style of workout. This entry was posted in CrossFit, Events, NUKE, THE JOURNAL and tagged #NUTRITECH, pre-workout.